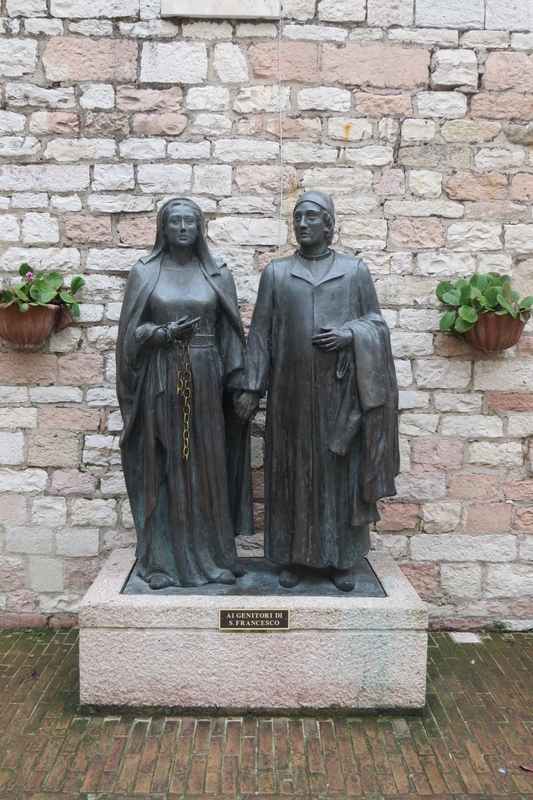 Growing up in New Zealand I learnt a lot about my mother’s confirmation saint, Saint Francis of Assisi, patron saint of animals because he could TALK to them, had the stigmata, and was a hermit, but a friend to all. 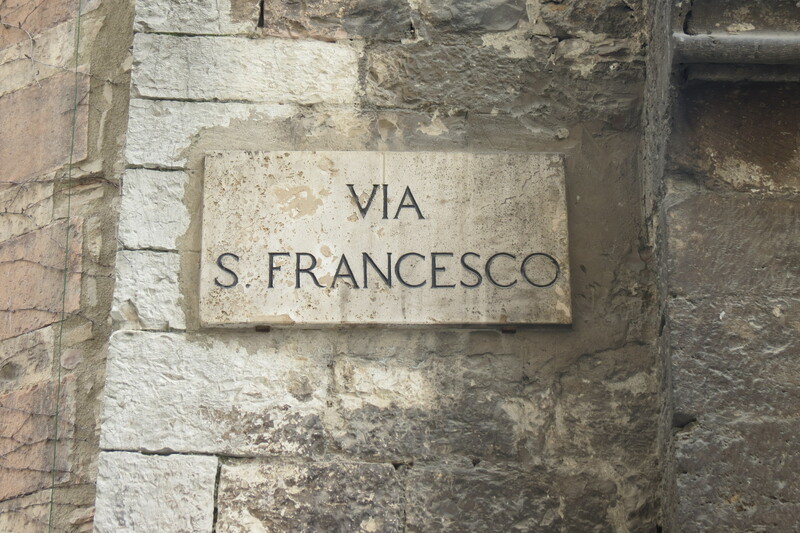 So coming to Italy, I really had to go to where St. Francis was from! When I came here in dicembre 2012, I had even booked a tour of assisi starting in roma, unfortunately it ended up getting cancelled, much to my dismay, and even though I was here all through gennaio 2013, Matteo’s car was a late 80s mini, which was bound to break down if we even drove 50km from where he lived, so that meant my trip to assisi was out in january as well. 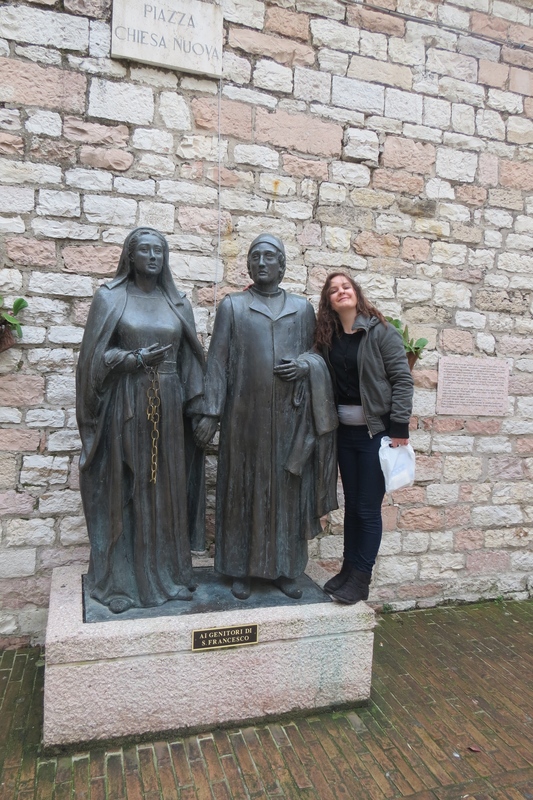 Now much to my surprise, this morning after slowly waking up, Matteo says to me, “do you want to go to assisi?”…. Now I thought he was joking, because it would be just like him to get my hopes up only to be like.. just kidding, i’m such a good actor… so I was like “Are you being serious?” and he replied with a “yeah!” So we got up, got ready and jumped into la macchina and was on our way to assisi! 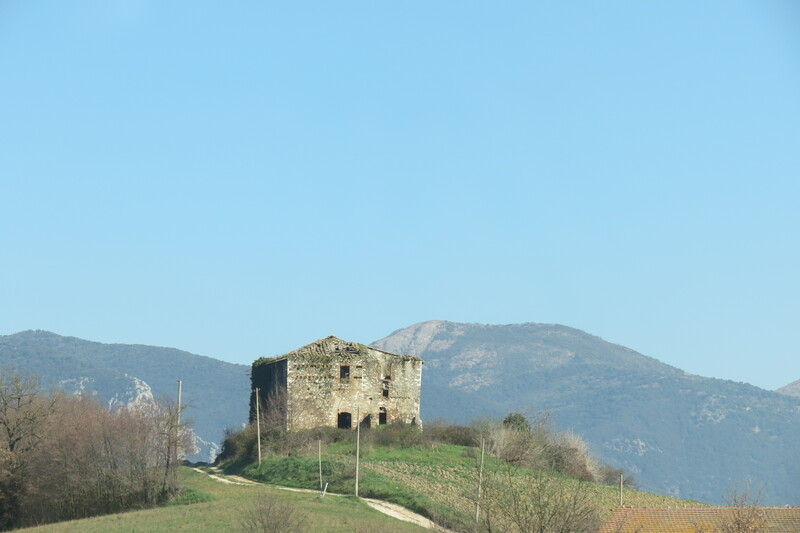 It was such a bellissimo journey, farms, old medieval houses, we did end up getting lost, because Matteo thought he had missed the turn off, so we had to ask for directions, at least he wasn’t afraid to ask! Then we got the right turn off! 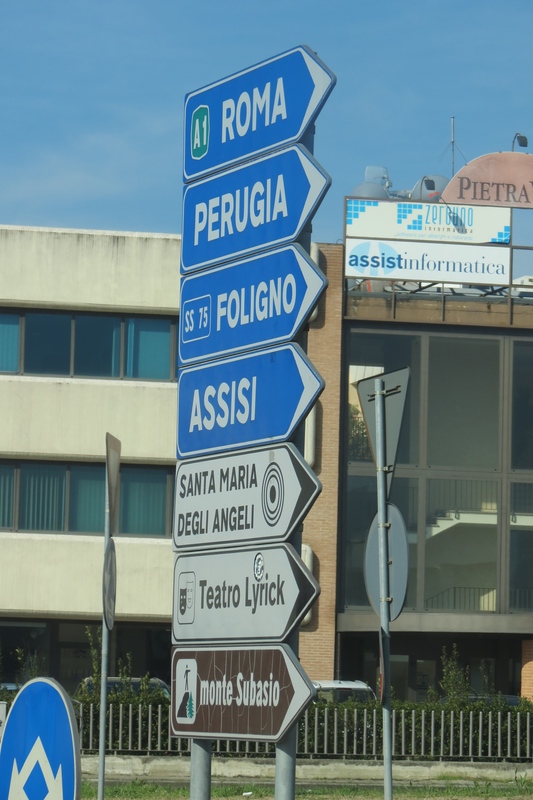 I never knew that there were TOLLS in Italy! 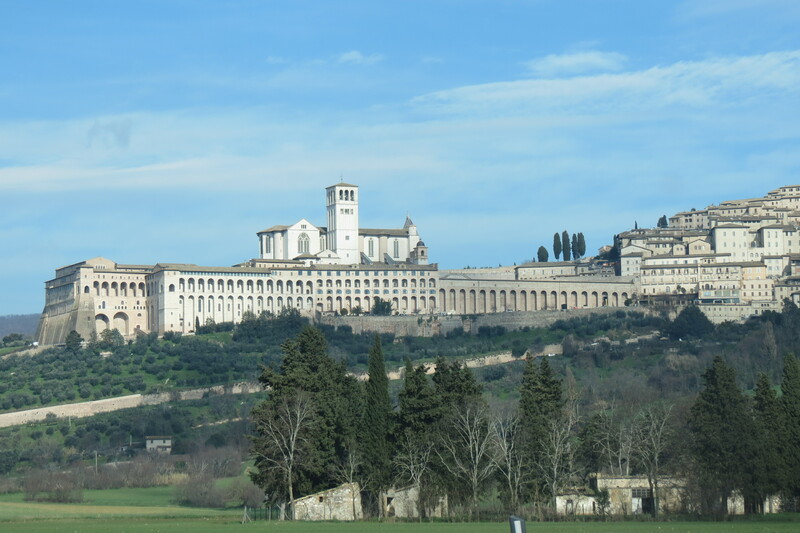 That actually still have the little man in the booth who collects the money, but hey we are talking about Italy here… so we made our way through the Toll Booth, and back on our way onward to assisi!!! Matteo had just stopped to ask for directions when I spotted this sign! 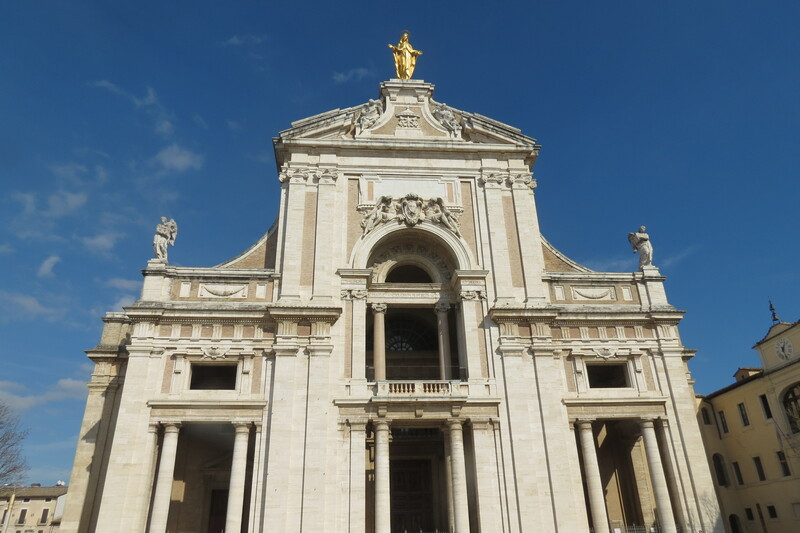 We arrived into “New” assisi, where we came upon a great basilica, unsure of the name, where I spotted 3 francisicans, 2 male and 1 female. 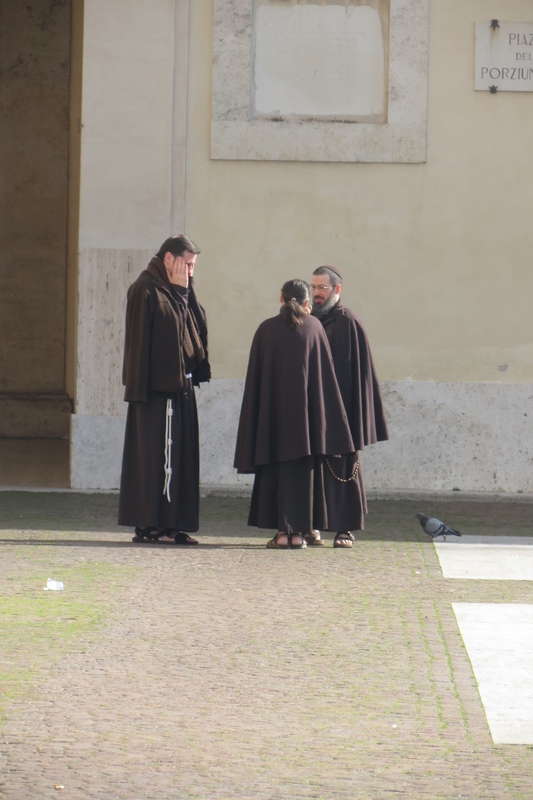 I was sneakily taking photos of them from a far distance, so they probably wouldn’t of noticed, when I made Matteo go up and ask them if I could take a photo of them, since I loved St. Francis and they were rocking his outfit, even down to the sandals on there feet. Unfortunately they turned down the offer to be in a photo with me, much to my disappointment. The cathedral we came across. Not sure of the name of it, but it was closed unfortunately. But it is beautiful from the outside! 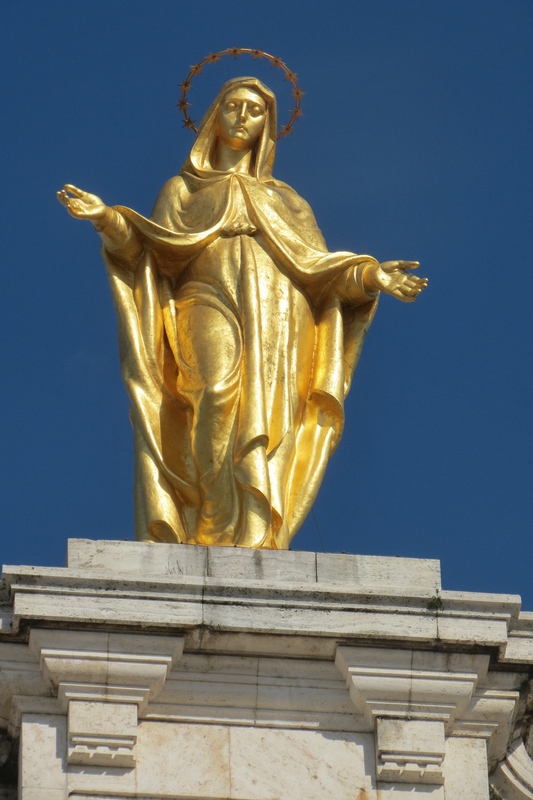 Beautiful statue of the madonna on the top! 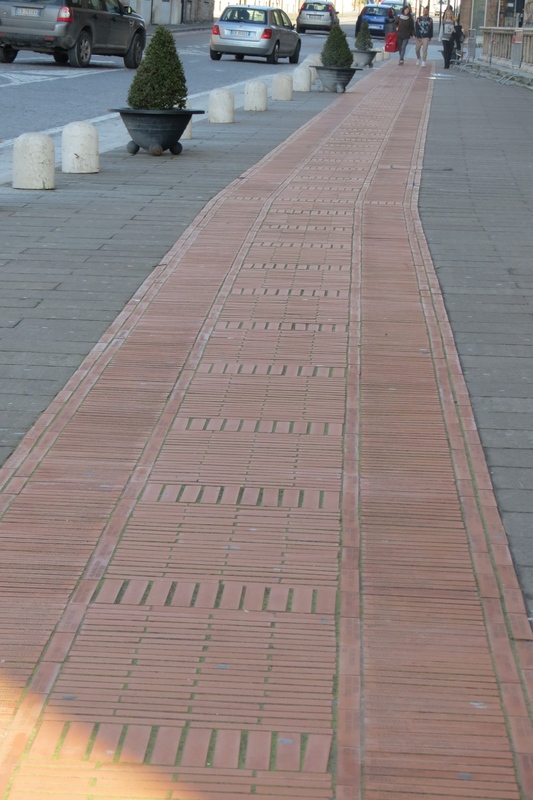 This is a pathway where people can pay for a brick with their name in it! 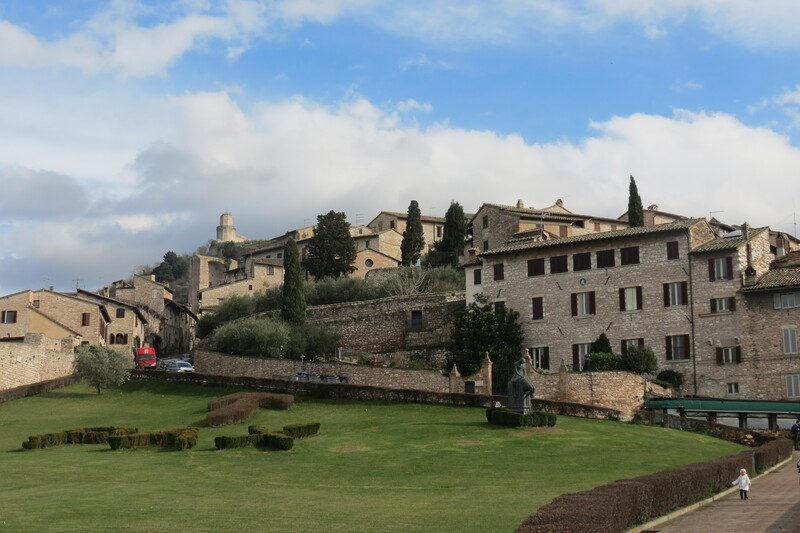 We then made our way to “old” assisi, and boy was it magical. This bellissimo little medieval town. That is tiny, but has like 5 or 6 churches! 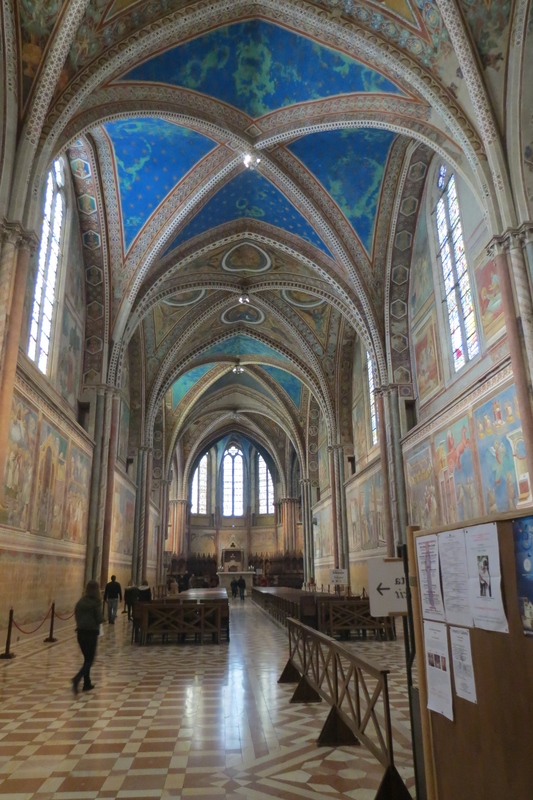 We went to the Basilica of San Francesco d’Assisi, which had two parts to the basilica, an upstairs and downstairs. 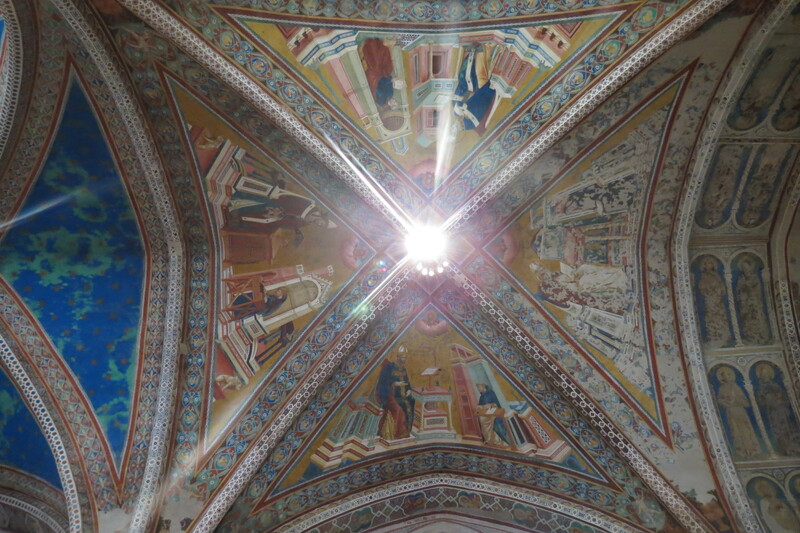 It was just breathtaking being in there, the ceilings, o dio they were magnificent! I just sat take to take it all in. It was so amazing! 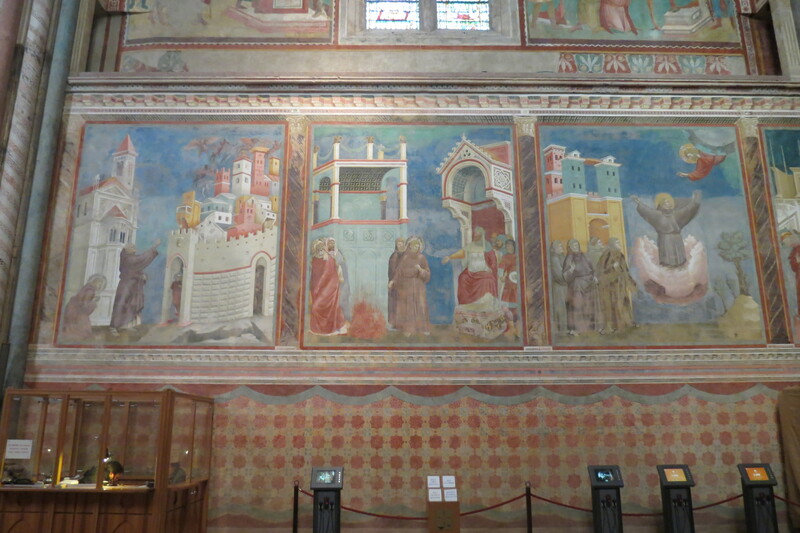 With the paintings by Giotto! They were just divine! Matteo managed to get a few sneaky pictures before he got told off! 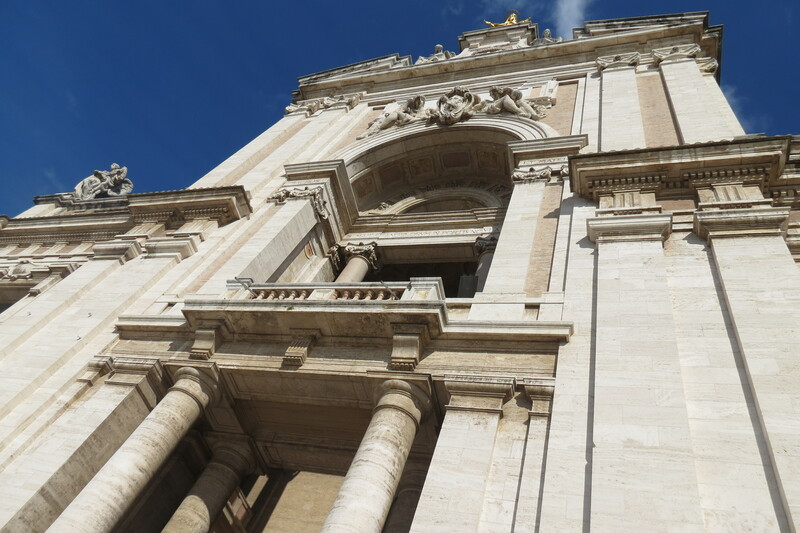 We unfortunately arrived rather late, so didn’t get to see all we would of liked, and I ended up suffering from il mal di pancia so that didn’t help either. 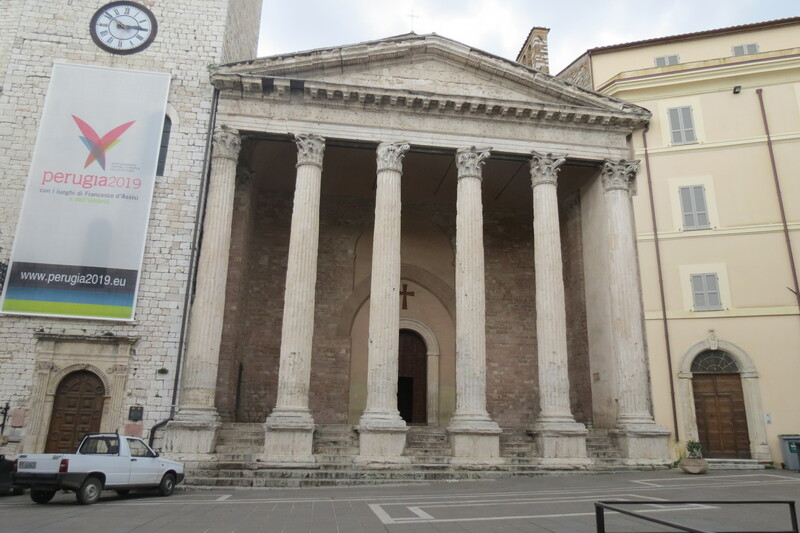 We made our way to see some of the other sites, such as The Temple of Minerva. 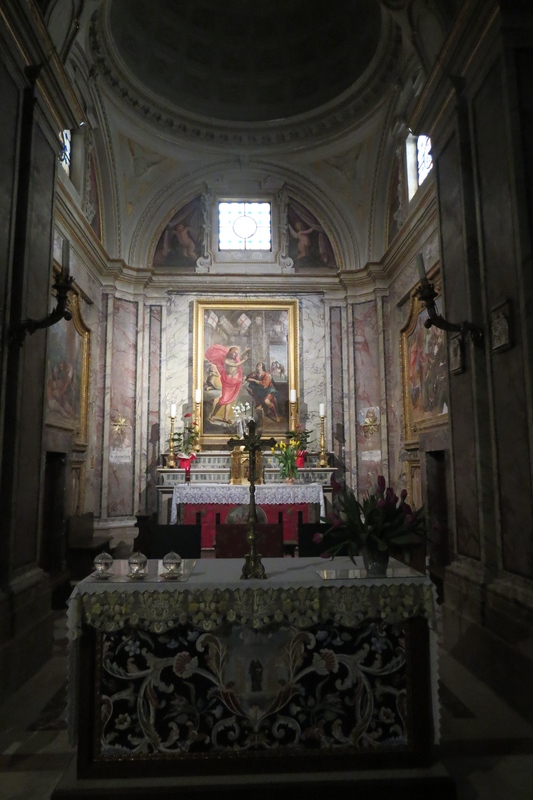 Then we managed to find where St. Francis was born, called chiesa nuova They have turned his old house into a mini church! It is rather a cute wee place! I just love the history, and medieval feel about this town! Chiesa Nuovo on the inside! 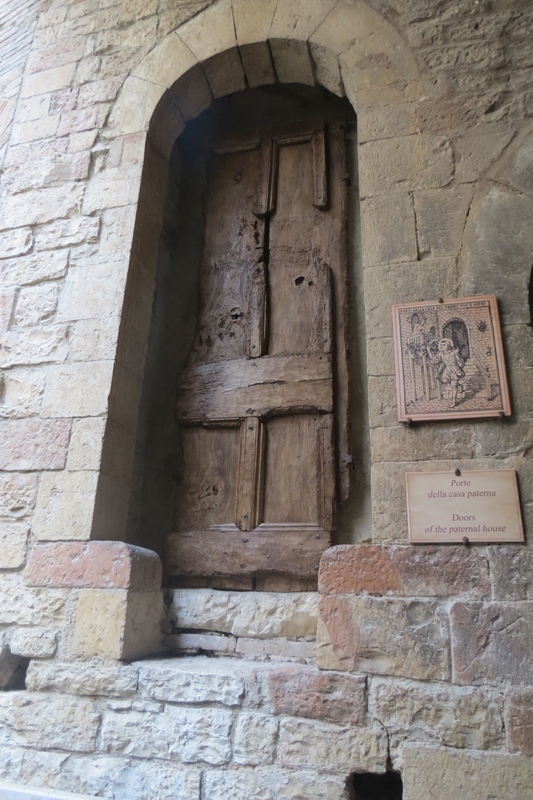 The original door from when it was St. Francis’ House. 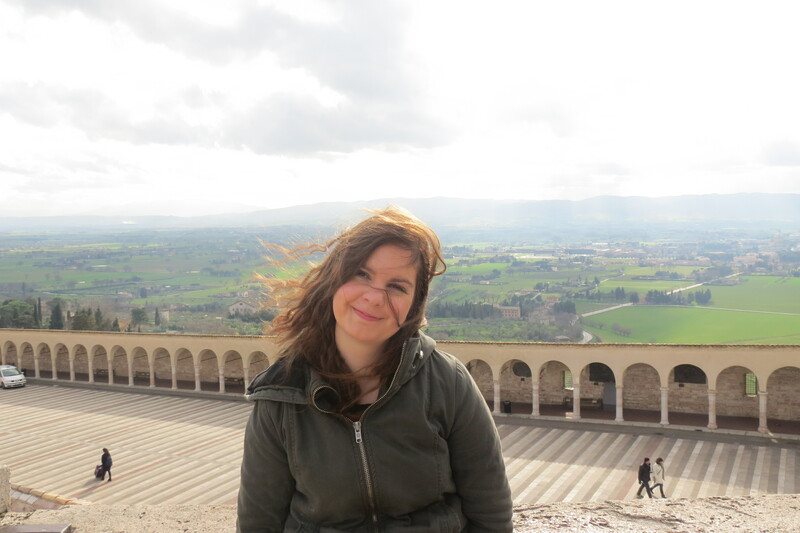 I absolutely adored Assisi, it was definitely a big highlight of all my times I have been in Italy. It will be somewhere I will definitely come to see again! I cannot rave about it enough! Thank you Umbria! 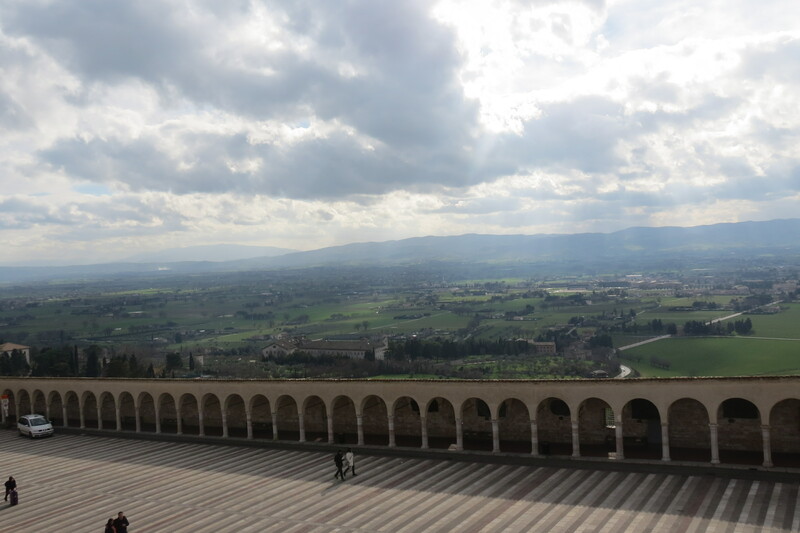 Here are a few more images of our trip to Assisi! 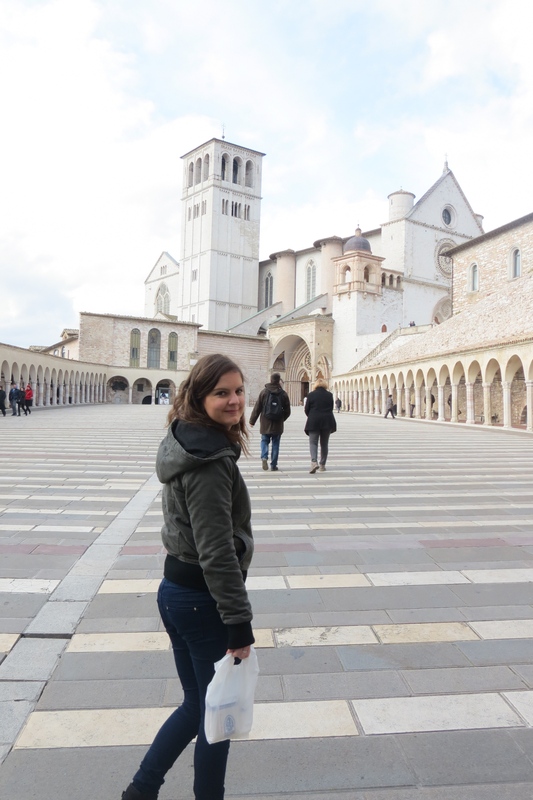 The basilica from “New” Assisi! 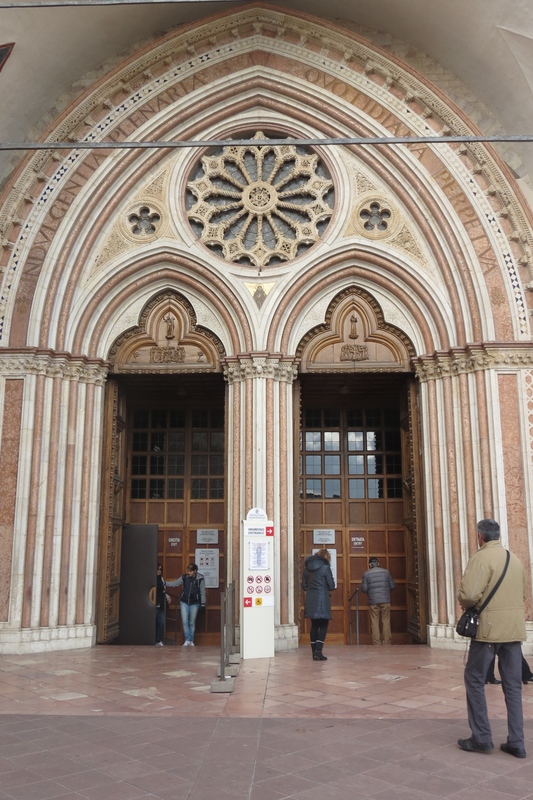 The view from the top half of the Basillica of San Francesco. Me with the gorgeous view behind me! Just got to make sure we were on the right street! 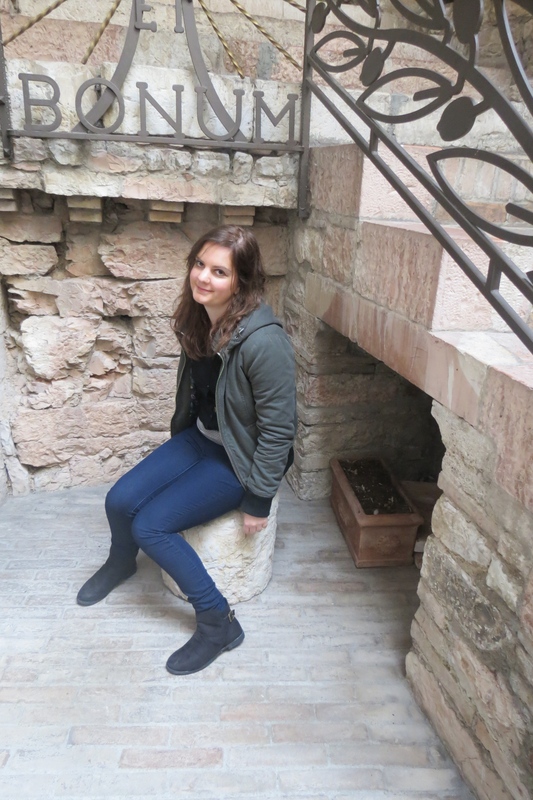 Just casually sitting in the house where Francis was born! 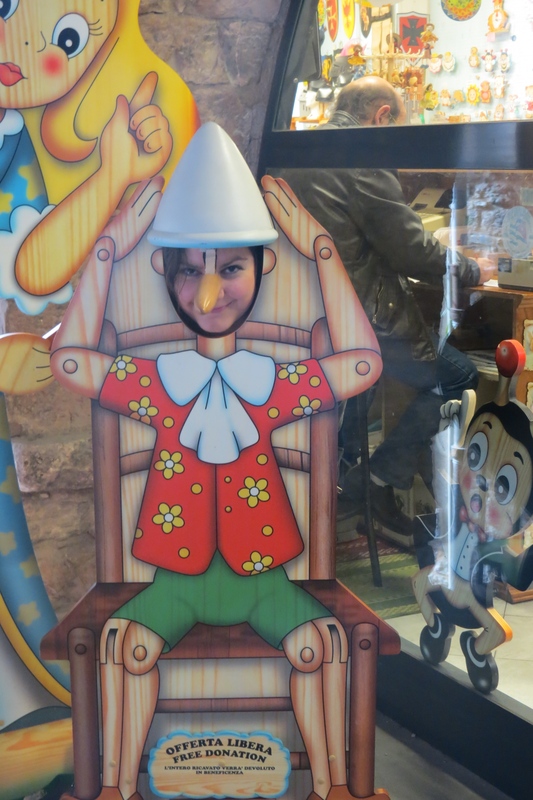 Yes… it’s true… I am secretly pinocchio! Marzipan pastries! 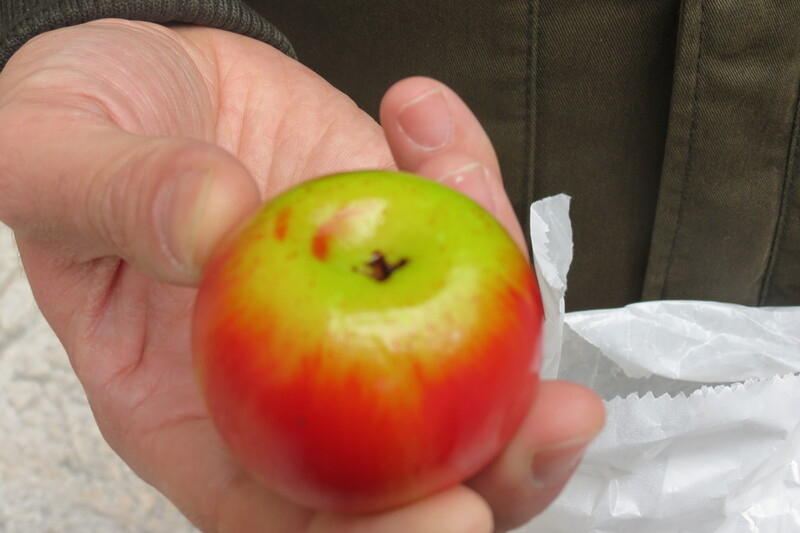 It looks like a toy apple! Crazy!! Random plaques on the side of a building! 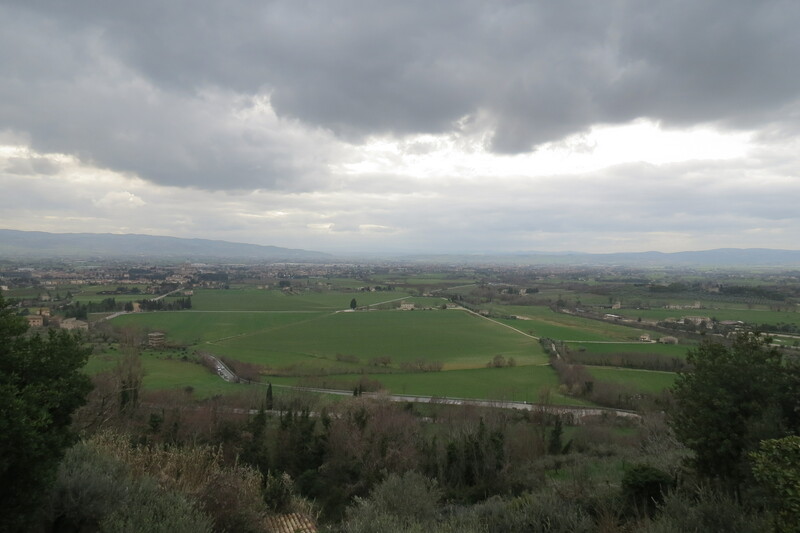 One last view of Umbria from on high. Looks like the clouds are starting to roll in! I hope you enjoyed my reminiscing of my journey as much as I enjoyed being there! This entry was posted in Trips to italy and tagged adventure, aeroplanes, airplanes, airport, amiche, amici, amore, antipasti, antipasto, anzio, assisi, basic italian conversation, basilica, beautiful, bella, bello mio, bilingual, blog, blogger, blogging, brain, casino, catholic, catholics, cattivo pasta, challenge, cher hale, cherhale.com, chi sono io?, Church, churches, colosseum, conversation in italian, culture, e Batti il Cinque, education, england, entertainment, exciting, family, firenze, francesco, francis, friends, friendship, fun, girl, help, history, iceberg project, il treno, italia, italian, italian blogger, italian blogs, Italian challenge, italian learning, italian life, italian music, italian restaurants, italiano, italiano ristorante, italians, italy, italy tv, kiwi, kiwi blogger, kiwi blogs, kiwi girl, l'anima vola, l'autobus, la dolce vita, la famiglia, language help, language learning, language learning blog, languages, laterano, learn, learning, learning a language, learning italian, learning language blog, life, lifestyle, limoncello, lingua, london, love, magic, mango, mango languages, me, memories, music, musica, musica italiana, Napoli, nel blu dipinto di blu, New, new zealand, nonna, perugia, pia, piazza del popolo, pompeii, pope, pope francis, popular, ragazza, ragazze, ragazzi, ragazzo, regions, roma, roman, rome, san francesco, san giovanni, speak italian, speaking italian, st. francis, the iceberg project, tour, travel, travelling, truth, tube strike, uffa, umbria, united kingdom, vatican, who am I?, wordpress, writing. Thank you, Anna. 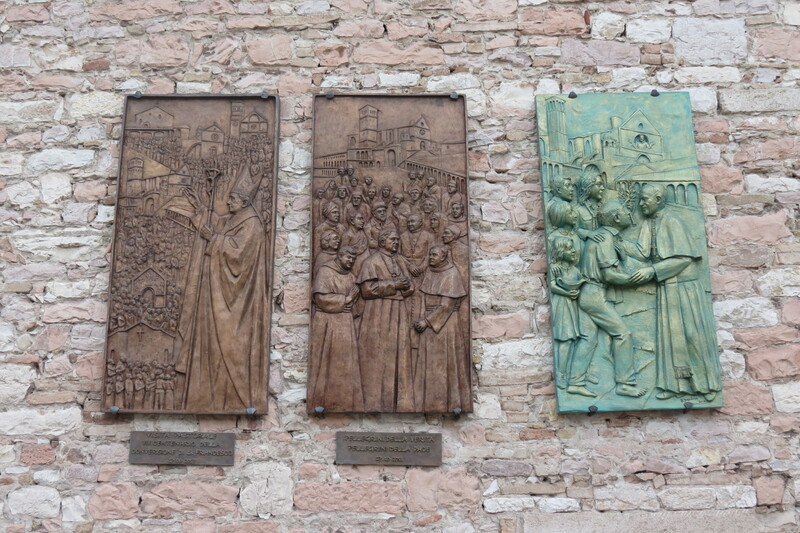 Very nice post and photos of Assisi. I spent a week there and it really does have that medieval feel.